Batman director Matt Reeves and his 6th and Idaho production company have acquired the rights to the Boom! 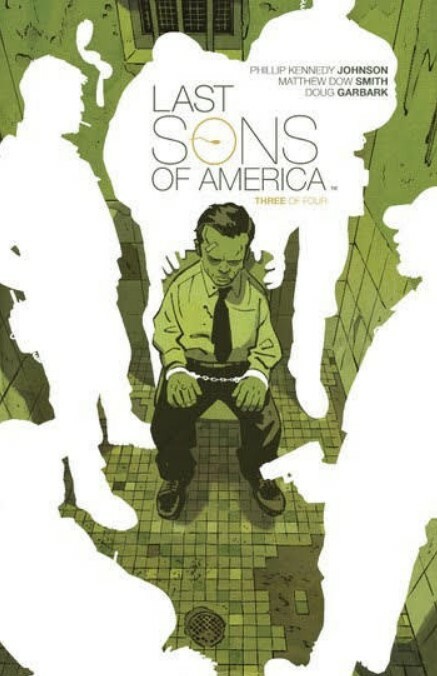 Studios graphic novel, Last Sons of America, which will star Peter Dinklage, who is known for Game of Thrones, and will air on Netflix. The movie is described as: In the not too distant future, Americans are no longer able to conceive and children have become a valuable commodity around the globe. Brothers Jackie and Julian (Dinklage) are operating as adoption agents in Colombia, securing deals with families willing to give their children up for a presumably better life in America. When the brothers suddenly find themselves with their backs against the wall, Jackie makes a grave mistake that sends them spiraling into a dark mystery at the root of their world’s status quo; a mystery much darker than they might be able to bear. Josh Mond (James White) is writing and directing the movie, with producers including Matt Reeves and Adam Kassan for 6th & Idaho, Peter Dinklage and David Ginsberg for Estuary Films, and Ross Richie and Stephen Christy for Boom! Studios, executive producers include 6th & Idaho’s Rafi Crohn and Boom! Studios' Adam Yoelin. 6th & Idaho and BOOM! Studios are currently in pre-production on Mouse Guard for 20th Century Fox, where BOOM! Studios has a first look deal. The Last Sons of America graphic novel is by Phillip Kennedy Johnson and Matthew Dow Smith.